I used to be able to style my hair really well, but as i have gotten older, it's begun to get harder. I couldn't find the right hair style and so I started to get upset because all the nice styles didn't suit my fine hair. So in the end, I just found a picture of a nice hair style and took it to the hairdressers. She adapted it slightly to suit my hair. I now have medium-long hair with a slight side fringe and shaggy - bed head layers which is a really "in" look right now. I recommend it. The style is simple yet fresh and trendy. 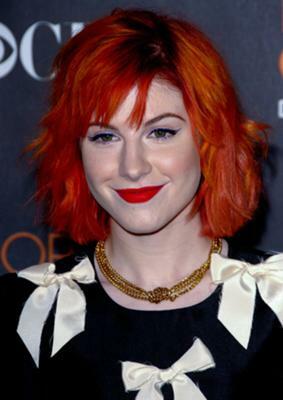 I modelled my hair style from Hayley Williams - lead singer of the pop punk/rock band "Paramore"